365 Days of Insight to Develop the Leader in You Learn to Lead, not just for yourself, but for the people who follow you. 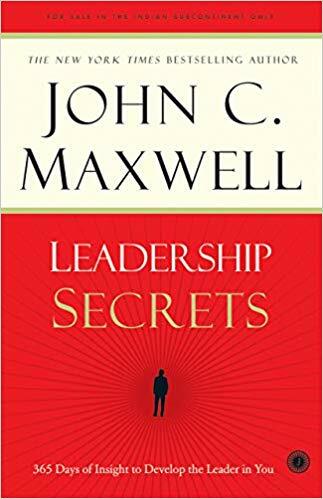 For countless readers around the world, John C. Maxwell’s name is synonymous with leadership. For more than two million organizational leaders, his wisdom has ignited learning, growth, and lasting change. Now, for the first time, that wisdom has been distilled into a single and powerful volume. Leadership Secrets draws its unique power from an ageless truth: leadership is created through actions, put into practice one day at a time. Each day’s message will equip you with the inspiration and advice to unlock every bit of your leadership potential.